Since 2004 the Tour of Utah has been pedaling the toughest stage race in America, and starting August 6th, it&apos;s back for another year. Some cyclists might argue that it’s the prettiest and most scenic stage race in the world—and we can’t argue with that. The Tour of Utah is comprised of 6 stages, with 536 total miles and 43,780ft of total elevation gain. 17 Teams will compete this year, including big dogs like BMC, Trek, Scott and more. Stages 4 and 5 are our personal favorites this year. If you want to experience cycling fandom in all its glory, you can’t miss the Stage 5 climb to Snowbird Mountain Resort. Little Cottonwood completely transforms into a festival-style atmosphere, and if you turn your ear just right, you can practically hear French resounding from the canyon walls (ALLEZ!). Also, this will be your best chance to feed doughnuts, pizza, college drinks, and other tempting items to the suffering cyclists. More cowbell, si vous play. 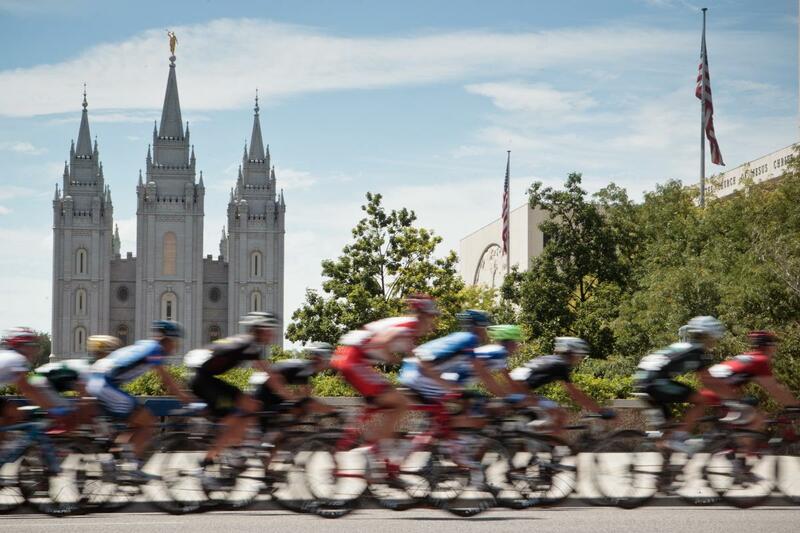 Stage 4 is a 6.8 mile loop through the heart of downtown Salt Lake—10 laps of leg- and lung-burning pandemonium, that feels more like an F1 Grand Prix than a cycling race. For more info on the stages, teams, locations, and more, check out the Tour of Utah website.